Consists parts 2958500A and 2958500B also available separately. 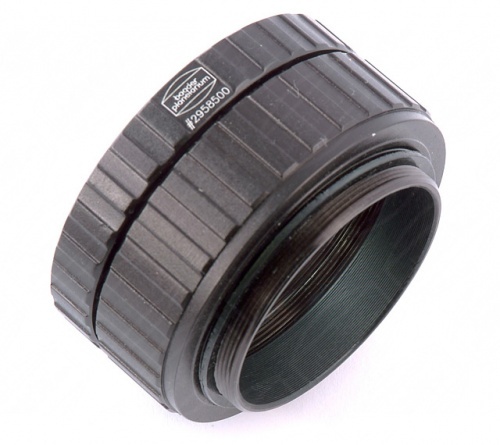 Part 2958500A is a 2" NX4(C90) / ETX Expanding Ring that converts NX4 straight male thread into 2" SC male thread, it also has a 1.25" filter thread, so you can screw your compatible filter in and use it with this adapter. Part 2958500B is a Ultra short SC-T-Adapter with T-2(male) thread on one side and 2"SC(female) thread on the other side; the optical length of the adapter is 10mm.